Rain Collection Watering Kit(SI-2000; SI-2050) - Plastico Corp.
Easy Installation: connects directly to your faucet and hose. No tools necessary. Works under low water pressure so a water tank is also supported (ideal for watering containers during vacation). Long Battery Life: Efficient design allows two batteries (sold separately) to last up to 2000 on/off cycles. Conveniently displays battery status in mobile app. Time & Money Savor: The tap timers will automatically water sequentially once they are programmed via the app installed smart phone or tablet. 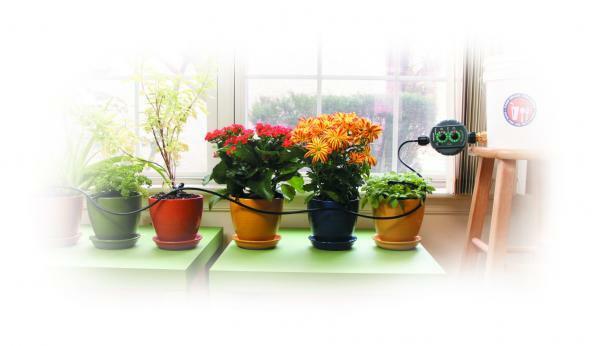 The programmable controller allows you to schedule precise watering schedules in seconds. Connectors and tubing specially designed for steady flow and efficient watering.